This is a charming, clever, and utterly wonderful interpretation of fairy tales. 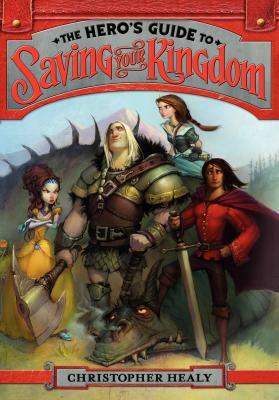 Taking the four “Prince Charming”s from Cinderella, Snow White, Sleeping Beauty, and Rapunzel, this book shows the frustration these four feel at only being remembered as Prince Charming. After all they have names! (Frederick, Duncan, Liam, and Gustav, respectively, in case you were wondering.) This book is easy to adore, and even easier to laugh with (because, to be honest, these princes aren’t very good at what they do). The League of Princes is the best kind of league–unintentionally funny and still just as charming as their nicknames claim them to be. This book is outstanding. But the character of Duncan (Snow White’s prince) is the best of all. Read it for him and Snow White, if nothing else.